The Pleyel Museum is the only memorial site in the world devoted to the life and work of the composer, piano manufacturer, publisher, cathedral conductor and founder of the Salle Pleyel in Paris, Ignaz Joseph Pleyel. While in his lifetime Pleyel conquered the world of music from France, this is now happening in the area of Pleyel's birthplace, in the form of guided tours, concerts and opera performances. The tours, which have become quite popular, are supported with audio documentation and performances on the original Pleyel grand piano or on the table piano built by his son Camille. In addition tours of Pleyel's baptismal church and coach rides are offered. Concerts are performed every first Sunday of the month. Every Saturday from 2:00 P.M. to 5:00 P.M.
Every Sunday, Monday and Friday from 10:00 A.M. to 1:00 P.M.
Members of the IPG, holders of the NÖ-Card and children below the age of 15 enter for free! 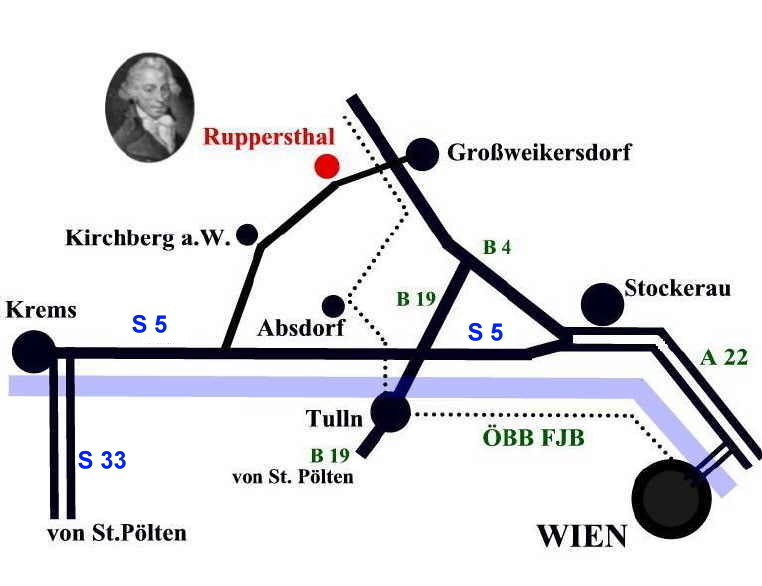 From the Franz-Josephs-Bahnhof (railway terminus) in Vienna with regional line R42 or from St. Pölten via Tulln to Grossweikersdorf, or from Krems to Kirchberg am Wagram (regional line R40). Pick-up at the railway stations can be made by prior arrangement!